The benefits to having your new mattress on a frame with a foundation or a platform base really does make a difference. Having your bed closer to hip level makes getting in and out of bed a lot easier and in the long run is much better for your hips and back. They also allow to add a little more style and design and even give you an extra storage area, if needed. These reasons are why we find it is important to do frames and adjustable base reviews. Adjustable bases also open the door to helping with many issues people face in daily life that also tend to affect how well they sleep and even difficulties with getting in and out of bed. An adjustable base allows you to position your bed to your custom preference. It can help alleviate back pain and problems, restless leg syndrome, snoring, sciatica and the list goes on and on. Many find the help they receive from an adjustable base to be invaluable. At Our Sleep Guide we are reviewing basic metal frames as well as high end adjustable bases and everything in between to help you find what base will work best for you and your mattress. We are taking our frames and adjustable base reviews to the next level to help you find what will work for you. Classic Brands Adjustable Base - Adjustable base with several added features at a great price point. Rize Adjustable Base - American made high quality, durable adjustable base with various added features. 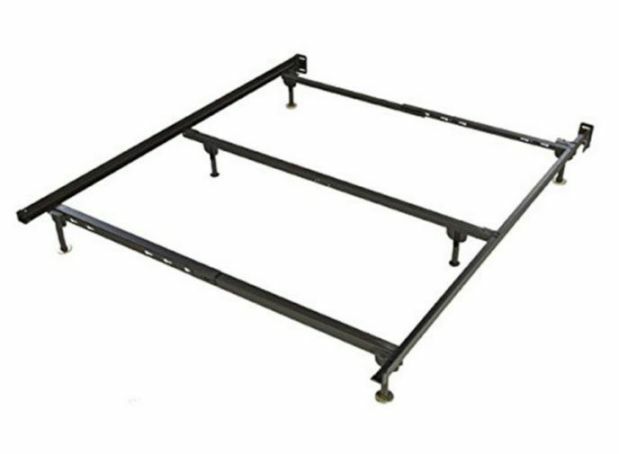 Glideaway Steel Bed Frame - Classic metal frame design with solid support and easy assembly. Malouf Metal Bed Frame - Classic metal frame design made with solid materials and fairly easy assembly.